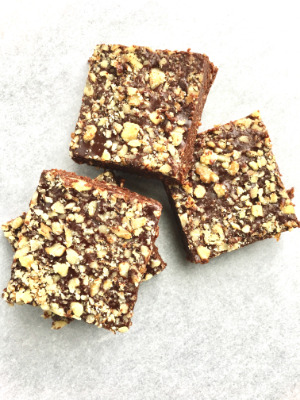 BROWNIES - 100% Plant Based, Gluten Free, Soy Free , Sweetened with Dates. These Brownies are super Fudgy , rich and Chocolaty. They DO NOT have any flour and sugar . Dates, Pecans, Raw Cacao, Walnuts and Sea Salt. A: Hi, all of my products are 100% Plant Based ( no eggs , no dairy ), No sugar, No Soy and No Gluten. February 4th, 2019 person_outline Nicholette M.
Q: Is this for one brownie? A: The brownies are packed by weight. Each container is quarter pound, which is approximately 2 to 3 brownies. Hope this helps.